Part C introduces recurring patterns and proven design solutions for abundant garden farming in suburbia. It doesn’t tell you how to raise seedlings or graft a tree but it will help you select and design the best growing systems for vegetables and fruit trees, along with guidelines on what to grow to make best use of what space you have without moving to a rural property. Like the first chapter in the Built Field, the Biological Field starts with a series of questions that should enable you to assess the potential for growing and utilising living things on your site: How to assess a garden. Garden farming explores the different methods that are used to grow food in garden spaces, how you might optimise the available space and the amount of food that might be produced. The basis of plant, animal and human health is good, well-mineralised soil; Building and maintaining soil fertility covers practical strategies for improving soil at a suburban scale. Managing soil contamination discusses a common issue – that of unwanted chemicals in the soil and some strategies for dealing with them. Some suggestions on what plants to prioritise in garden farming systems are given in What to grow where and Food growing systems looks in more detail at tried and tested systems for growing vegetables and fruit in small spaces. How these plants might be propagated and distributed is discussed in Seed saving and backyard nursery. Animals and plants have synergistic relationships in functioning ecosystems, including backyard ones. 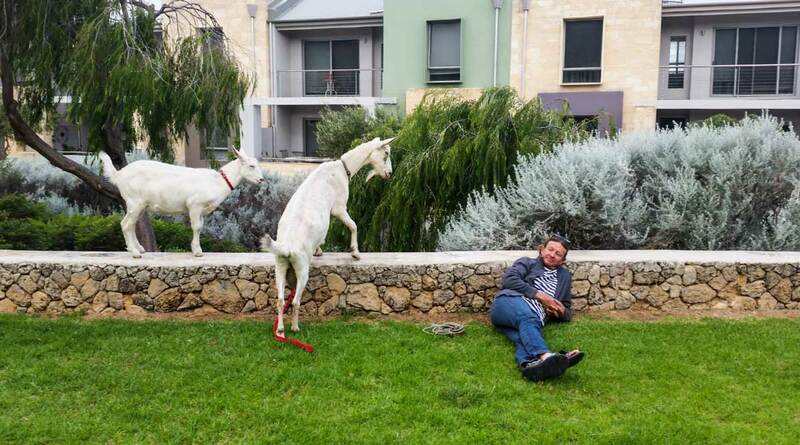 In Domestic animals in suburbia I discuss domesticated animals that are useful at a suburban scale and in Wildlife in the garden; by and beyond design I extend this discussion out to cover non-domesticated animals, including pest species that may be problematic. Finally, in Beyond the boundaries we move out from the household garden into larger public and private spaces where different techniques are more suitable. · ripping up paving or even taking down buildings to increase the space for growing. 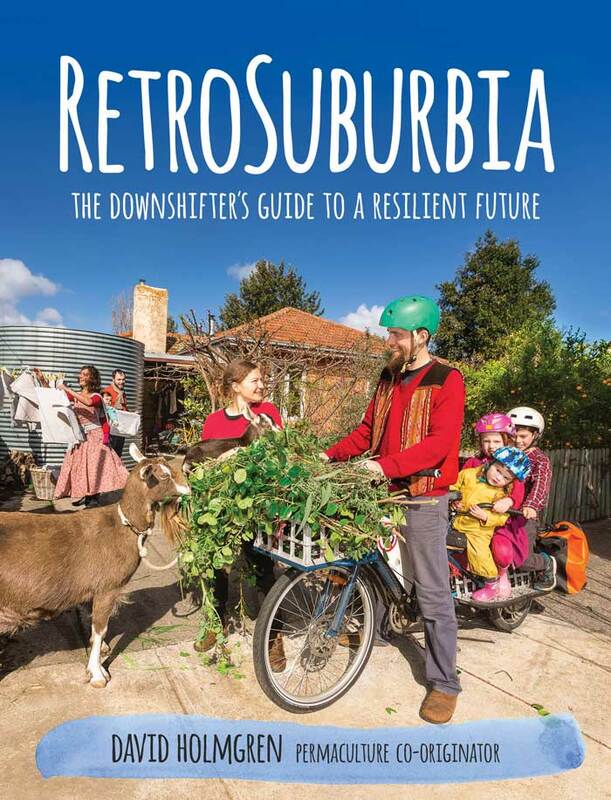 Permablitzes, which began in Melbourne as permaculture-designed garden makeovers, are classic examples of drawing on community capacity and knowledge to accelerate the retrofitting process. · reclaiming the production and processing of perishable foods back to household and community non-monetary economies. · As households become more self-reliant in food, this will stimulate demand for property design, courses and workshops, nursery production and local seeds, and tools and equipment. Many of these services and products will be bioregionally specific, benefiting local business providers. 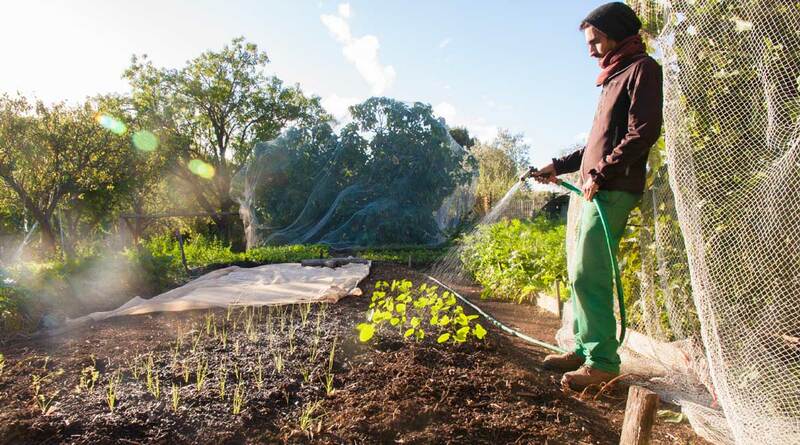 · Lots of people are likely to try garden farming, but not everyone will succeed (due to unsuitable site or soil, technical complexity or just plain physical effort in the sun, rain and dirt). However, those who have tried it will appreciate the work and skills required for garden farming and thus will become the logical customers of competent local garden farmers. This chapter provides an overview of the patterns of sunshine, soil, water and vegetation that make a good foundation for a productive and resilient household economy before discussing the production systems and species that might be most useful in suburban-scale garden farming. The value of any pattern is relative to its bioregional and market context. These patterns are most appropriate in southern Australia and more specifically southern and upland Victoria (eg Melbourne, Geelong, Ballarat, Bendigo and smaller towns). Outside of this bioregion other patterns may make more sense. These biological patterns should be cross-referenced to those in the How to assess a property chapter that frames the Built Field and the Ownership and living arrangements chapter that frames the Behavioural Field. How big is the fertility bank? Is soil contamination a problem? How much water can I access? How sheltered is the garden? Soil Quality website is an Australia-wide soil science website aimed at broadacre farmers but providing useful fact sheet information to understand a range of soil factors. For an overview of the politics of ‘weeds’ and non-native species see Fred Pearce’s The New Wild: Why invasive species will be nature’s salvation (2015). More books on novel ecosystems and the debate around invasive plants are listed under chapter 23. 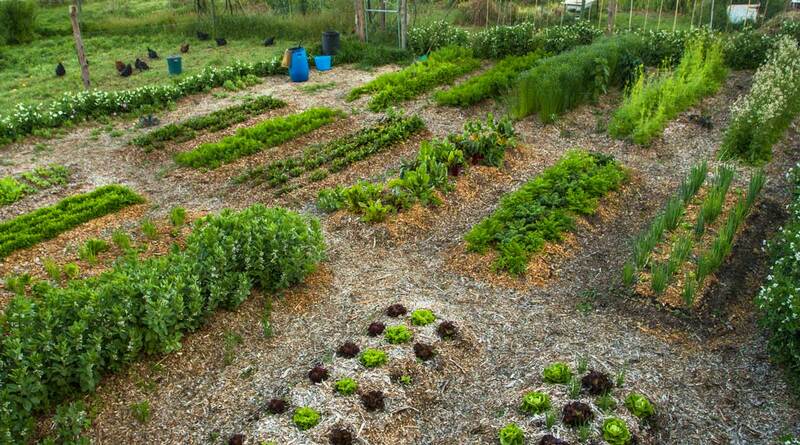 American permaculture teacher and author Peter Bane uses the term ‘garden farming’ in a similar way. I prefer his term and have adopted it: farming implies a way of living without the connotations of industry that has replaced culture in the common understanding of ‘agriculture’. The desire to produce some, if not all, a household’s fresh food has been common motivation for downshifters and retrofitters. Many people start on this journey with a veggie patch and some chooks as iconic elements of household self-reliance. 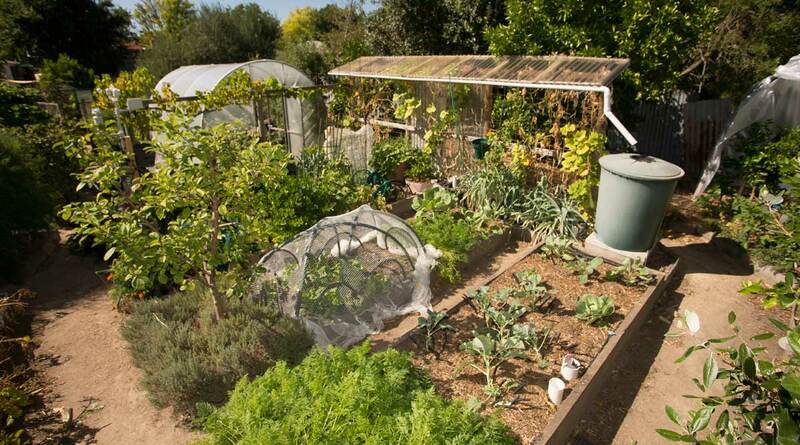 Clive Blazey & Jane Varkulevicius’s Australian Fruit and Vegetable Garden: grow the best fruit and vegetables for good health and flavour (2006) has a particular focus on getting yields from a small space. Justin Calverley’s The Urban Farmer (2017) is a great beginners’ guide to garden farming. French ‘s The Wilderness Garden: beyond organic gardening (2 nd ed, 2007) is one of the best articulations of the natural gardening approach. Her Earth Gardeners’ Companion (2009) has month-by-month sections on what to plant, harvest and do in the garden providing a useful guide particularly for those beginning their garden farming journey. John Jeavons’s How to grow more vegetables than you ever thought possible on less land than you can imagine (originally 1974, many new editions) popularised the biointensive approach and is still one of the best articulations of this style of gardening. 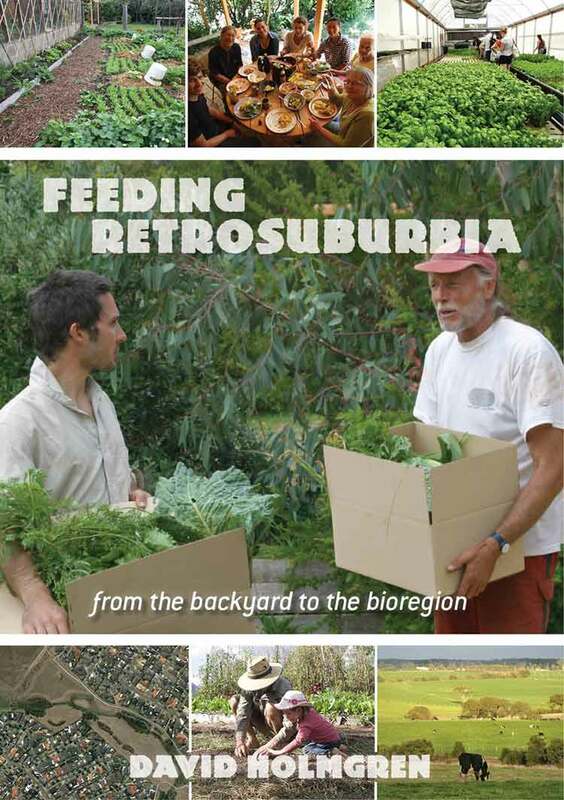 Robert & Eileen Millet’s Feasting from your Suburban Garden (2013) reprints their articles from Grass Roots Magazine recording their very productive urban food system from garden to plate in cool climate Launceston complete with all the tools, processing and preserving, and creative reuse systems. 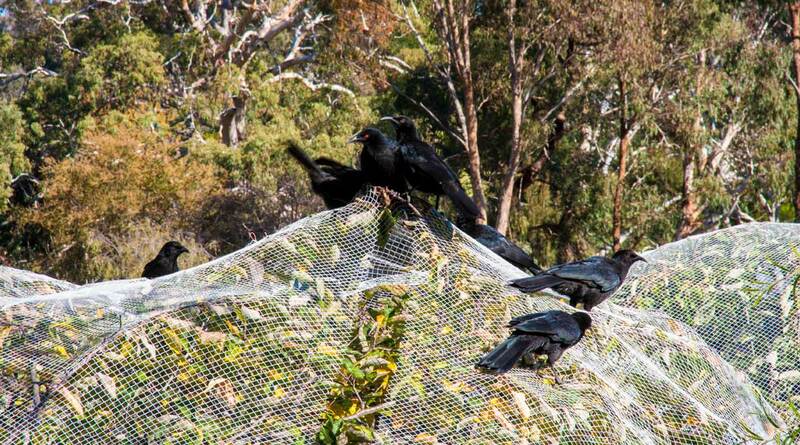 Deep Green Permaculture the blog of Melbourne gardener Angelo Eliades includes a great amount of useful information documenting his garden, replies to commenters and DIY information on composting, wicking beds, growing systems etc particularly relevant to Melbourne conditions. 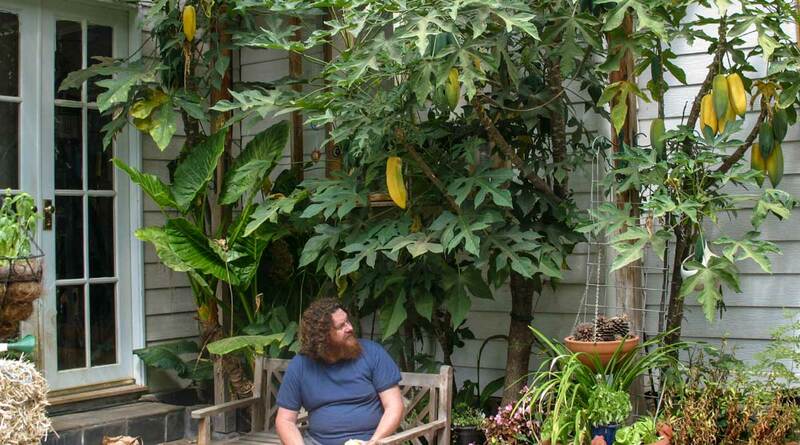 It also includes Angelo’s eloquent take on permaculture ethics and design principles. John Ditchburn’s Urban Food Garden also provides large amounts of useful information on garden farming, particularly relevant to cool climate urban areas. See also the resources listed under Chapter 16 Building and maintaining soil fertility Chapter 18 What to grow where, and Chapter 19 Food Growing Systems. In Chapter 14, How to assess a garden, I discussed the more permanent soil characteristics that provide the foundation for productive garden farming: large rooting volume, high mineral fertility and Cation Exchange Capacity (CEC), and avoiding soil contamination. This chapter focuses on building and maintaining soil fertility. At the garden scale, this is possible even when the starting point is low in minerals, compacted, sandy or not very encouraging in other ways. A fertile soil can be hard to define. I think of it as earth that has a crumbly open texture, storing and slowly releasing nutrients and water, hosting a teeming diversity of microbial life and with a balance and abundance of nutrients. Fertile soil supports healthy growth of plants that need less irrigation, better cope with weather extremes and resist disease and pests. The food from such plants is minerally balanced and dense, has more complex and subtle flavours, generally sweeter tasting with higher levels of vitamins and resists decay for longer. Such food is the key to good health more than any other factor that we have control over. Soil and Health Library provides free downloadable e-books, mostly out of print works, about radical agriculture, health and self-sufficient homestead living. The library’s topic areas connect agricultural methods to the health and lifespan of animals and humans – studying these materials outlines how to prevent and heal disease, suggests how to live a more fulfilling life and reveals social forces working against that possibility. Pat Colby’s Natural Farming: A practical guide (2004) is a guide to balancing soil minerals in Australian conditions for livestock and human health, albeit more focused on farms than home food growing. Steve Solomon’s The Intelligent Gardener: growing nutrient-dense food (with Erica Reinheimer, 2013) is another book on the importance of soil mineral balance with more focus on garden-scale systems. Lowenfels & Lewis’s Teaming with Microbes: the organic gardeners guide to the soil food web (2012) is a great introduction to the biological aspects of soil – what’s in there, what it does, and what should be done to encourage it. Free downloadable book on soil life: Soils Alive! Albert Bates’s The Biochar Solution: carbon farming and climate change (2010) is a comprehensive overview of biochar. Is soil contamination a problem? in Chapter 14 focused on selecting sites with low risk of contamination and on the potential for testing soils for contaminants. 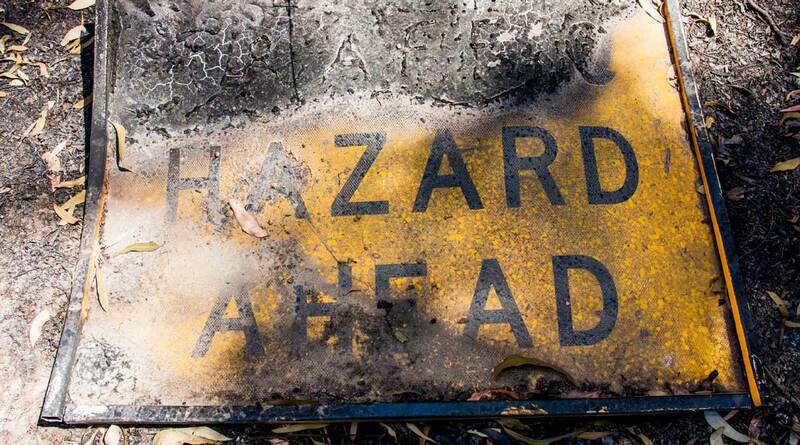 This chapter focuses on strategies to manage known contamination identified through testing or from past history, and possible precautions against the unknown. For those prone to worry about the safety of homegrown food, it also includes general confidence-building measures. It provides some background to better understand this complex issue without becoming unnecessarily stressed about chemical hazards (see also Wood ash, charcoal and creosote in Chapter 6 for preventing contamination from wood ash). The VegeSafe program provides a ‘by donation’ testing program for common urban soil contaminants, as well as some great advice for gardeners. Mark Taylor from Macquarie University has been a vocal advocate of lead-safe backyard food production in recent years. VegeSafe compares soil samples to a range of Australian and international guidelines on soil contamination limits – it is interesting to note that many other countries have lower limits than Australia. Also note that our NEPM guidelines recommending soil <300ppm are based on home grown produce at <10% fruit and vegetable intake (with no poultry). Obviously many resilient households are well above this level! Soil contamination tests including both heavy metals and pesticides are available from Southern Cross University ‘Environmental analysis laboratory’. ABC Catalyst’s Lead Astray episode (watch or text) has some pretty frightening research linking lead exposure in kids to violent behaviour in later life. Also features Mark Taylor discussing gardening in lead soils. The LEAD Group raise awareness about lead risks and safety. Good general research on lead but not very detailed guidance for gardeners. DIY lead paint testing kits are discussed in this blog. Paul Stamets’s Mycelium Running: How mushroom can help save the world (2005) contains an authoritative overview of the principles and practices of bioremediation using fungi. Very Edible Gardens have a good discussion on soil contamination here. Priorities in what to grow are strongly influenced by the climate and soil, available space, water and sun, dietary preferences, and security of tenure. By focusing on Melbourne and central Victoria and, more generally, southeastern Australian growing conditions, we can be reasonably specific about priorities for garden farming by households committed to pragmatic self-reliance. Although I have only given a few examples of potentially useful species for different situations, these should give a sense of the diverse factors to be considered when choosing plants. The main focus should be but on growing household food but species can also be chosen for their secondary benefits and their ability to perform well in your particular environment. Suzanna Lyle has written two very comprehensive reference books on a wide range of food plants for garden farming: Discovering Fruit and Nuts: a comprehensive guide to the cultivation, uses and health benefits of over 300 food-producing plants (2006) and Discovering Vegetables, Herbs and Spices: a comprehensive guide to the cultivation, uses and health benefits of over 200 food-producing plants (2009). These are an excellent investment for anyone interested in growing food. Louis Glowinski’s The Complete Book of Fruit Growing in Australia (1991) explores the range of trees crops for the home food producer, especially in Melbourne and similar climates, although we disagree with Louis about the need for chemical fertilisers and pesticides. We can learn the diverse and detailed horticultural skills, and gain the knowledge, to be a successful garden farmer in many ways: growing up with gardeners, volunteering, and from courses, tours and a wide range of books. A Permaculture Design Course provides the overview that you may find helpful in making sense of the voluminous information and often conflicting advice on how to grow food at the household scale. Experienced local gardeners provide both valuable information and plant stock that suits the locality and soil. However, it can still be difficult for prospective garden farmers to decide what will work best for them, not just this season but over the longer term. Soil and microclimate can vary along a suburban street, while every household is a unique context shaping what will work well and be appreciated. The permaculture principle Design from patterns to details suggests that a systems overview can help make sense of the jungle of information and examples around us. The resources in Chapters 15 & 18 are also relevant here. unusual household food growing book as it focuses on staples. Designing, establishing and maintaining ‘Edible forest gardens’ is the theme of Dave Jacke’s Edible Forest Gardens (with Eric Toensmeier, Vols. 1 & 2, 2005). Although written for U.S. readers, most of the information is transferable to other situations with appropriate tweaks. Mt Alexander Fruit Gardens has a range of resources for home fruit growers including ebooks, online courses and emailed seasonal tips. Growing mushrooms is comprehensively covered in a 50+ page chapter of Kirsten Bradley and Nick Ritar’s Milkwood book (2018) available here. For an even more in-depth look at fungi see Peter McCoy’s Radical Mycology (2016) available here. For ideas on growing aquatic plants see Nick Romanowski’s Sustainable Freshwater Aquaculture: The complete guide from backyard to investor (2006) and Edible Water Gardens: Growing water-plants for food and profit (2007). · creating a surplus that can be gifted to other gardeners and/or contributed to more organised seed saving groups and networks. · Keeping the best of your own success for planting in future years gives a much greater sense of knowledge and control than selecting a seed packet based on the promotional blurb. · The quantity of seed harvested from a few fruit or plants gives a great sense of abundance compared with the few inside a commercial packet encouraging a sense of generosity in their distribution. 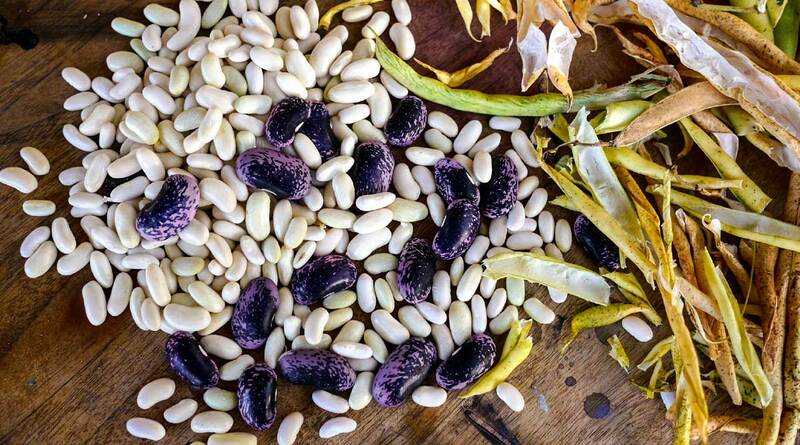 · Seed saving progressively selects for plants adapted to the local growing conditions and garden farming system. In this way it naturally blends in to the breeding of new, locally adapted varieties. and short videos, a history of Australian seed saving, and lists of local seed saving networks. Michel & Jude Fanton’s The Seed Savers’ Handbook (1993) is the classic Australian text on seed saving; covers many vegetable varieties as well as general instructions for seed saving. Available from Seed Savers Network above. Carol Deppe takes seed saving one step further, giving detailed but engaging instructions on breeding vegetables to suit your particular circumstances in Breed Your Own Vegetable Varieties: the gardener’s and farmer’s guide to plant breeding and seed saving (2000). Jackie French’s New Plants from Old (2007) is a guide simple, effective and economical plant propagation techniques. In industrial agriculture, animals and crops are generally segregated, often on separate farms. This is a relatively recent development however, and most rural Australians understand that domestic animals and crops can be complimentary in agriculture. · the value of animals as pets (interest, companionship, children’s learning etc). Tim Malfroy’s Natural Beekeeping Australia is a good starting point for exploring the topic. Tim runs workshops in partnership with Milkwood Permaculture who also have lots of bee related posts on their blog. They also have a great beekeeping chapter in their book Milkwood (2018) available here. Alanna Moore’s Backyard Poultry – Naturally (3 rd ed, 2014) is written from a permaculture perspective with particularly useful sections on varieties of chooks and ducks, herbal remedies and fodder plants, available here. Jackie French’s Chook Book (2 nd ed, 2010) is packed with information about chook husbandry. Also numerous egg and chicken recipes and a useful section on killing and gutting. Harvey Ussery’s The Small Scale Poultry Flock (2011) although not Australian, is an excellent poultry book with an emphasis on integrating poultry with other systems. Backyard Poultry Forum Large Australia and New Zealand poultry forum covering chooks and all kinds of poultry. Includes book reviews, poultry for sale and chat space for sharing information and asking questions. 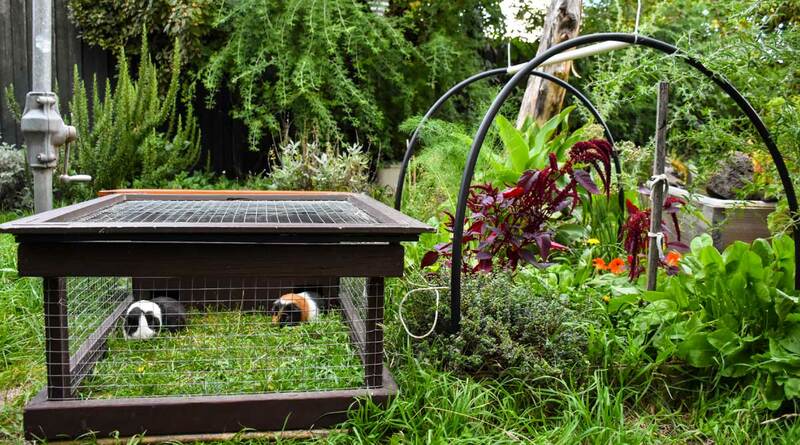 Many YouTube videos for example How to build a house-on-wheels for rabbits, guinea pigs & other small animals. No animal ecosystems are separate from plant ecosystems. This should remind us that nature abhors a vacuum; wildlife moves into any plant system as soon as possible, whether we like it or not. Our responses to wild animals range from synergistic enhancement and aesthetic delight to teeth-grinding frustration and complicated defensive infrastructure – or respectful harvesting of nature’s abundance. 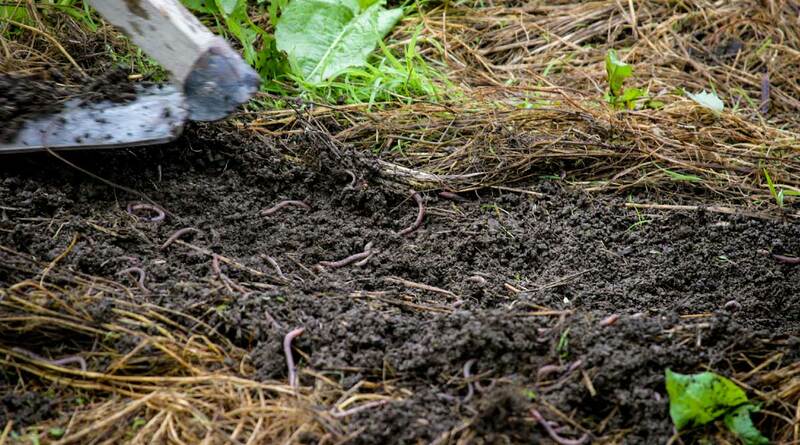 You can find a huge range of information about how gardeners can encourage wildlife into gardens, but not so much of this is relevant if you’re engaged in serious garden farming. Jackie French’s Wilderness Garden (2007) distils her decades of experience growing food in a bush landscape where the benefits and the problems of wildlife are constant factors shaping her philosophy and practice of gardening. Denis Crawford’s Garden Pests, Diseases and Good Bugs: the ultimate illustrated guide for Australian gardeners (2015) is a particularly useful resource for identifying and managing both pests and predatory invertebrates in the garden. The CSIRO’s online web tool ‘What bug is that? The guide to Australian Insect families is also very useful for identifying insects in the garden. Fruit? Common insect pests of deciduous fruit trees (2014) and What’s That Spot? Common diseases of deciduous fruit trees (2015) available here. The suburban retrofitting strategies discussed in this chapter are applicable to larger areas of public and private land beyond the boundaries of individual residential lots. Consequently, their implementation may depend on community-level organisation and support of local government and/or large property owners. City farms and community gardens may be the starting point for projects that could become the models for a comprehensive re-ruralisation of our low-density cities. Some of my proposals are still too radical to be taken seriously in the current public discussions about redeveloping urban space; these ideas will have to wait until energy descent symptoms compel society to grasp opportunities to re-ruralise the management of urban landscapes. You may be able to apply some of these strategies and proposals informally if you are able to make opportunistic use of vacant and unused land when the notional owners and/or managers are unable to do so. Everything from urban foraging and skipping (‘dumpster diving’) to grazing, beekeeping and even forest harvesting will expand in energy descent futures. Although these activities can be seen as representing the breakdown of orderly land use planning and markets, if not law and order, they also have the potential to create new ‘commons’ that in the future will be managed by local communities using protocols and sanctions that evolve over time. Adam Grubb & Annie Raser-Rowland’s The Weed Forager’s Handbook: a guide to edible and medicinal weeds in Australia (2012) is a beautiful presented, very funny and extremely informative guide to some of the most useful weeds. Available here. ‘Wild food’ is a chapter in Kirsten Bradley and Nick Ritar’s Milkwood (2018) giving a great overview of foraging as well as finding and harvesting specific species along with recipes for using them. Available here. resources on the history and management of Spring Creek, in particular the use of willows. His essay ‘Weeds or Wild Nature: a permaculture perspective’ is available here. Tao Orion’s Beyond the War on Invasive Species: a permaculture approach to ecosystem restoration (2015) looks at landscape management from a permaculture perspective – including learning to embrace species that are often regarded as undesirable because they are not native to an area. Available here. For an academic look at the emerging field of Novel Ecosystems see the collection of articles in Novel Ecosystem: Intervening in the new ecological world order (2013) edited by Richard Hobbs et al. Fred Pearce’s The New Wild: Why invasive species will be nature’s salvation, (2015) takes a critical look at current thinking around invasive plants from an established science journalist. David Holmgren’s Trees on a Treeless Plain (ebook 2006) provides information and inspiration for planting Zone III and beyond, it has an especially useful spreadsheet of plant species for food, fodder and other uses. Jeff Nugent and Julia Boniface’s Permaculture Plants: A Selection, (2 nd ed 2004) is packed with information about less commonly known but useful perennial plants – edibles, timbers, fodder, nitrogen fixers, plants for difficult sites.